With the cost of energy rising 3% every year on average, doesn’t it make sense to reduce long-term consumption without sacrificing your lifestyle? Want to save money on your electric bill and at the same time help the environment? 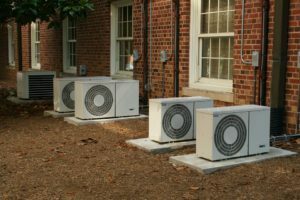 Using energy efficient products can help the efficiency of your existing equipment which not only saves you money year in and year out, but also prolongs the life of the most expensive household component (your heating and air conditioning system). Below are some of the energy saving products we recommend because of their quick return on investment and long-term energy savings. An ac compressor may consume 45,000 watts of power while the motor is trying to start – TEN times more power than it uses while running. By comparison, the large burner on an electric stove only consumes approximately 5,000 watts on high. The heat that accompanies the in-rush current can damage vital electrical components – the air conditioner compressor, the air conditioner run capacitor and contacts. The second way that the 5-2-1 Compressor Saver® helps to lower air conditioning bills is through the protection it provides to the run capacitor. The run capacitor is the “heart” of the compressor and it determines how much electricity is consumed while the compressor or air conditioner is running. Without a 5-2-1 Compressor Saver® the run capacitor bears the brunt of the stress and electrical heat during start up. The Attic Tent is a specially engineered, patented insulator designed to create an air transfer barrier between your attic and living areas. It is a practical and economical solution to a problem that has existed since homes were first built with overhead attic entries. That problem is wasted energy through and around the attic door and stairs. Just as houses have to breathe to create a healthy environment for the people living in them, attics also need to “breathe” in order to keep the roofing components “healthy,” well-functioning, and structurally sound. Anyone who has ever been in the attic during the summer knows that the attic gets hot—very hot. All that heat is first absorbed by the wood sheathing, the framing lumber, and the ceiling joists, and then those roofing components begin to radiate heat. Eventually all that heat will begin to affect the structural integrity of roofing components, and it is for this reason that many manufacturers of roof shingles will consider the shingle warranty voided if an attic is unventilated. During the winter months the major concern with an attic that is not well ventilated is moisture build up. Heated air from the living space below as well as moisture (from cooking, bathing, and washing clothes) leaks into the attic through the ceiling (even with the use of vapor barriers) through light fixtures and fans, access panels, and fold-down attic stairways. Condensation then begins to form on the framing lumber and the inside of the roof decking, leading to mold, mildew, and eventually wood rot. (Take a look at the ends of roofing nails sticking through the roof deck. If the ends of the nails are rusty, you have a moisture problem!) A second problem created by heat and moisture leaking into an un-ventilated attic is the creation of relative warm and cool spots on the roof deck, which may lead to “ice dams” when the roof is snow covered (and the inevitable roof leaks caused by water behind melting ice). There is an additional two-fold benefit in a well-ventilated attic. First, by keeping your attic cooler during the summer months, you effectively increase the efficiency of your ceiling insulation. As a result, your air-conditioner will operate more efficiently—and not consume as much energy—thus reducing your energy costs. 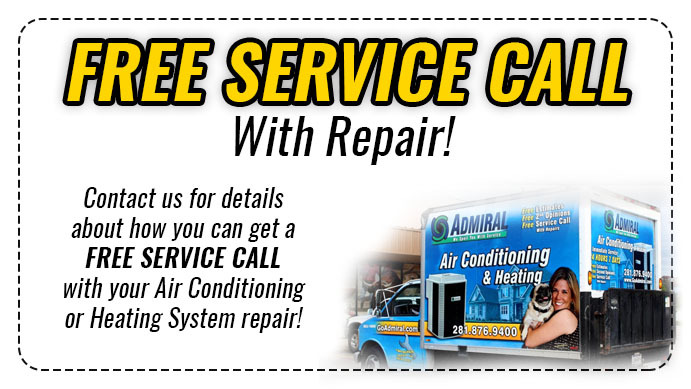 And because your home’s entire HVAC system is operating more efficiently, unnecessary and costly wear-and-tear on the equipment is avoided. How Much Attic Ventilation is Enough? Your home requires 5.3 sq ft of attic ventilation. What Vents Should You Choose? As anyone who has looked at the variety of vents on the market today knows, there are many from which to choose. Different styles, shapes, and even colors (to match your roof) are available. How do you choose? To some extent, the style of vent you choose is a matter of personal preference and aesthetics. The important consideration, however, is a vent’s “NFA” measurement. NFA stands for “net free area,” a measurement of the unobstructed area through which air can pass freely. The NFA formula takes into account not only the opening of the vent itself, but also considers any screening the vent has to protect the attic from the invasion of birds and rodents. NFA measurements are usually given in square inches. All Ventamatic, Ltd. “static” (i.e., non-powered) attic vents carry NFA measurements. Here’s an example of how NFA is used in choosing the vents for your attic: your home requires 5.3 sq ft of attic ventilation. Most NFA measurements are usually reported in square inches. Multiply the square feet of attic ventilation needed by 144 sq in (5.3 x 144 = 763.2 sq in). Always round up. The vents you choose to properly ventilate your attic must add up to 764 sq in. There’s only one more factor to consider: your attic ventilation must also be balanced. A well-ventilated attic breathes-in (intake ventilation) and breathes-out (exhaust ventilation) through vents located at the lowest and highest parts of your attic. Properly placed and with the correct “balance” of breathing-in and breathing-out vents create a constant flow of air through your attic, cooling it in the summer and preventing moisture build-up in the winter. The most efficient attic ventilation system—and the one recommended by roofing engineers—is a balanced system of 50 percent intake vents and 50 percent exhaust vents, known as the 50-50 Rule, which allows the most efficient and constant airflow through the attic. The outside air enters the attic through vents placed in the soffits or undereaves and exits the attic (through convection) through vents placed at or near the ridgeline of the roof. The ventilation needed for proper attic ventilation in the example above is 764 square inches. To “balance” the vents for this attic, 50 percent (382 sq in) of the vents must be allocated for intake ventilation and 50 percent (382 sq in) for exhaust ventilation. When choosing vents for the attic in this example, be sure to “balance” the 764 square inches of NFA by placing 382 sq in of intake ventilation at the soffits or undereaves and 382 sq in of exhaust ventilation at or near the roof ridgeline. FACT: Air pollution is a serious problem — especially inside your home! The EPA has named indoor air pollution as one of the top 5 environmental risks to public health. The EPA also reports that indoor air can be up to one hundred times more polluted than the air outside. One hundred times! And while you are offered many options — standard 1″ furnace filters, portable purifiers and ionizers — there’s only one truly effective solution: an Aprilaire Whole-House Air Cleaner. 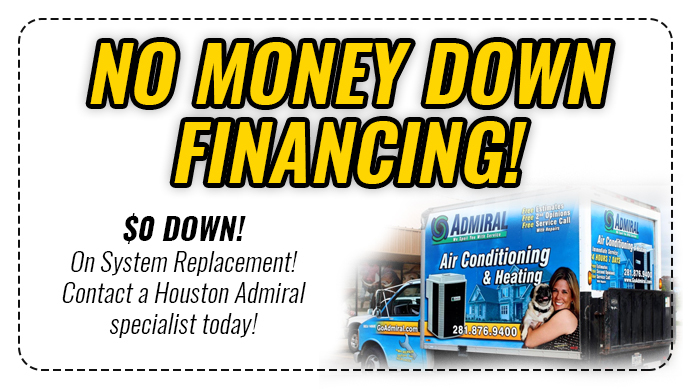 Houston Admiral is experienced with a complete line of digital thermostats, programmable thermostats and comfort controls to meet your needs. Programmable thermostats and comfort controls are designed to maximize the performance of heating and air conditioning systems with reliable, accurate temperature control. They’re remarkably easy to use, and they’re also easy on the eye. With an attractive, streamlined design, our thermostats will fit beautifully into any home’s décor. Let us help you select the model that’s right for your system and your lifestyle.